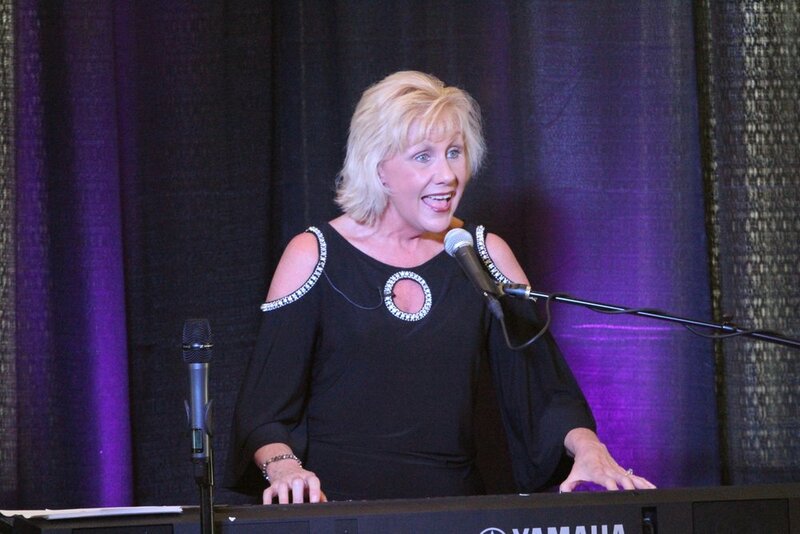 Cheryl Rogers is a singer, songwriter, music producer, and keyboardist who has been working in the music, entertainment, and commercial recording industry for over 30 years. She is a five-time Gospel Music Association Dove award nominee and music producer on the Grammy award-winning “Tribute Project” by Andrae Crouch. She is also a 4-time Emmy award winner for various television music productions for programs and commercials. Her music has been played all over the world on radio, television and internet. In the TV/Radio commercial production world, Cheryl's client list includes Discovery Channel, TNT, TBS, Cartoon Network, Tennis Channel, Coca-Cola, Georgia Aquarium, WSB-TV, Atlanta Falcons, and the Georgia Lottery Corporation. Cheryl has also co-written & produced 2 Christmas songs for Lisa Kelly (former member Celtic Women), and serves as Music Director for Kelly’s current live shows. Cheryl also scored the critically-acclaimed documentary, “Olympic Pride, American Prejudice” produced by Deborah Riley Draper and Blair Underwood. Cheryl is known not only for her music talent, but also for her quick wit and humor during the production process. 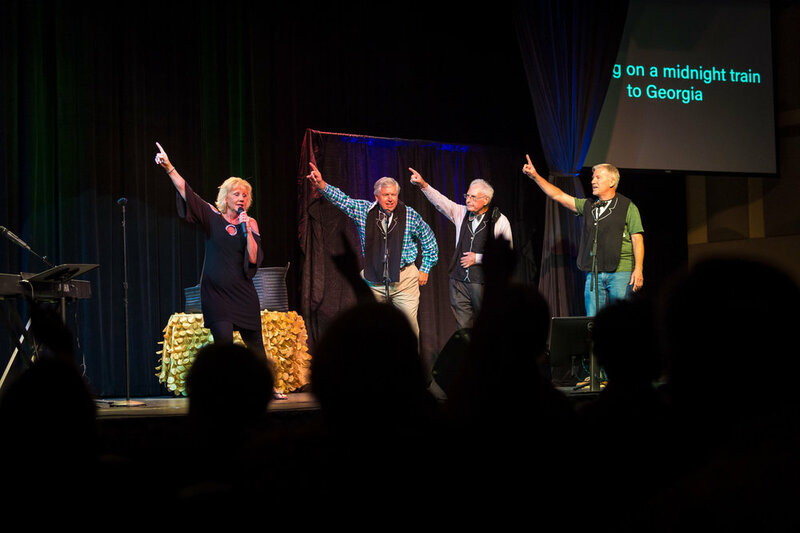 Now, Cheryl has launched her own music & comedy show, Senior Trip with Cheryl Rogers, with the mission to entertain, encourage, and empower 55+ Boomers & beyond to feel valued, and to keep serving. 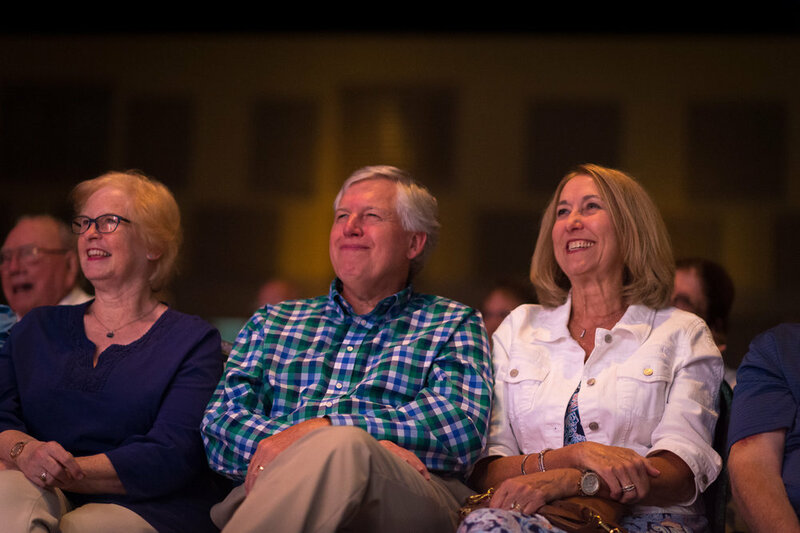 The mission of Senior Trip with Cheryl Rogers is to entertain, encourage, and empower 55+ Boomers & beyond to feel valued, and to keep serving. Our motto is Gray Matters. Brilliant! Funny! This one woman show is for anyone who remembers ice trays with metal levers, service stations and has used the words ‘I think we came in here,’ at the picture show. It’s a show that brings us together through the realities of aging. All aboard! When Cheryl and her team arrive, along comes love and laughter. Our residents thoroughly enjoyed the music, parodies and play on words. This show is just GREAT entertainment! So, if you are ever given the opportunity...get on the bus! My hubby Jim and I had the good fortune of seeing the premiere performance of Senior Trip! If laughter is good medicine, we will undoubtedly remain healthy the rest of our days on the earth! Senior Trip is entertaining, interactive, inspiring, hilarious and will leave the audience feeling like this season of life might just be the best so far! A must see... and more than once if you can! Very few people can fill a room with the music of laughter using laughter in music like Cheryl Rogers can. The crowd at Roswell UMC was given a gift. Thanks Cheryl. Cheryl Rogers kept me in stitches and I still haven’t recovered. She left a mark right where I laugh. The crowd at our church had a blast. Laughter that sticks... My wife and I still reference Cheryl Rogers and Sr Trip. Our church loved it. If laughter is the best medicine, Senior Trip will cure what ails you. We had 350+ people that howled through the whole thing. It was a great night. Our boomers and beyond group gave Cheryl a standing ovation. They were engaged, entertained and encouraged. One of our members left saying, when you laugh as much as I just did, you leave uplifted. Funniest show since Gilda Radner. I was afraid the audience was going to wet their pants. For more information about bringing Cheryl and Senior Trip to your city, connect with us using the form below, and we’ll be in touch! © 2018 Cheryl Rogers Music. All rights reserved. Site by Singer & Co.